BEIJING — Local officials in eastern China are investigating complaints that more than 100 children received expired polio vaccines after aggrieved parents protested violently over the weekend, the latest in a string of such vaccine scandals that have provoked anger nationwide. The government of Jinhu County in Jiangsu Province said on Friday that 145 children had received oral polio vaccines after their December expiration date. The children were between the ages of 3 months and 4 years, according to the state news media. The county discipline commission is investigating senior local officials, including the deputy county head, according to the statement. Hundreds of angry parents gathered on Friday outside the county government office, some of them scuffling with police officers, according to the police in Jinhu and videos that went viral on WeChat, a popular social media tool. Ms. Sun said the local police had warned her not to accept interview requests on the subject, “especially from the foreign media.” “I don’t dare to trust China’s vaccines anymore,” Ms. Sun said. The protests in Jinhu present yet another challenge to the ruling Communist Party. Members of China’s growing middle class, an important constituency for the party, are increasingly frustrated with its failure to address their concerns over food safety, air pollution and public health. The issue of vaccine safety is especially sensitive in a country where many couples have only one child. Parents were in an uproar last summer after reports that hundreds of thousands of children across China had been injected with faulty vaccines for diphtheria, tetanus and whooping cough. 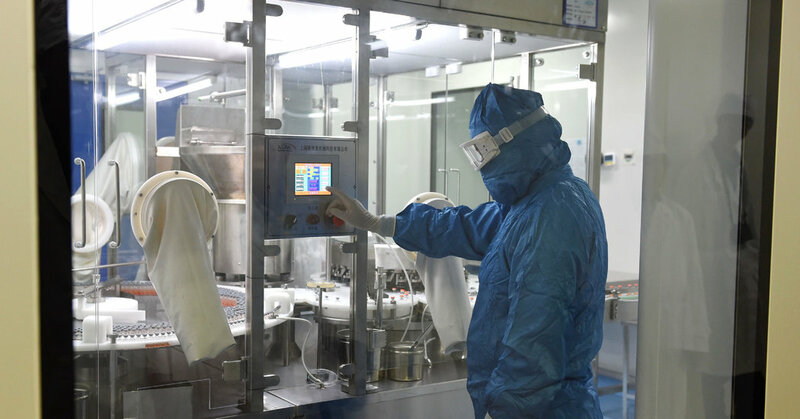 The government later imposed a record fine of $1.3 billion on the vaccine maker, Changchun Changsheng Biotechnology Company. President Xi Jinping had pledged a thorough investigation into the faulty vaccines last summer, saying that China was determined to clean up the industry. But despite the repeated vaccine scandals, few people have been charged with crimes, leading critics to accuse the government of not responding strongly enough. Companies shown to have made faulty drugs often emerge unscathed after apologizing or paying a small fine. Even after being reprimanded by the government for making faulty products, several large vaccine makers have been permitted to continue operating. Parents who protest are often silenced or detained.